Who is God, and can we know Him? 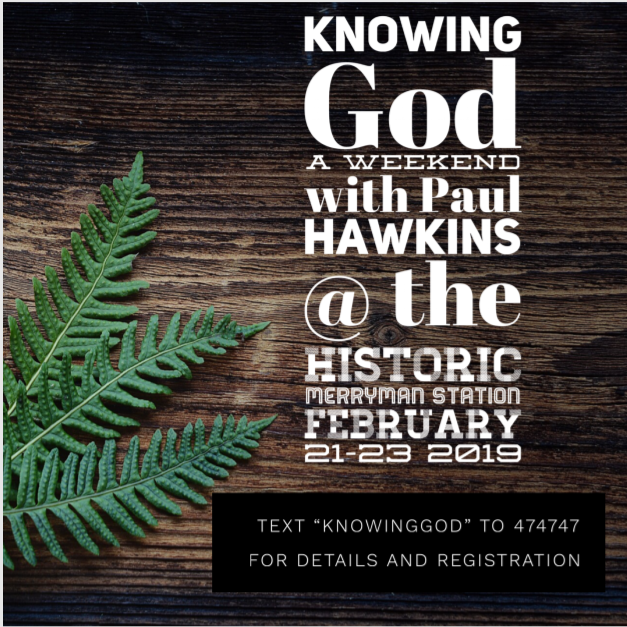 Come join us and be encouraged in your faith as we welcome our dear friend and international speaker, Paul Hawkins. We will spend 2 nights and one full day in the relaxed and incredible setting of Merryman Station growing in our understanding of the Knowledge and Character of God. Who is He? What is He like? Paul Hawkins has served with Youth With A Mission since 1971, pioneering the first training center for YWAM in Scandinavia. In 1974 he and his family moved to Hawaii where he played a vital role in the foundation of YWAM’s University of the Nations. In 1990 Paul created the School of Intercession, Worship and Spiritual Warfare. He has been the keynote speaker at over 40 education seminars on every continent covering over 20 nations emphasizing foundational presuppositional truths from God’s Word. Paul lectures literally around the globe, speaking in training programs, discipleship schools, and churches. We have been grateful to have Paul come and teach in Visalia and Tulare for over 20 years. As a visionary pioneer, Paul’s expertise and prophetic teaching ministry are highly regarded and in demand world-wide. We are extremely honored to have him in the San Joaquin Valley! His well researched yet down-to-earth, practical and sincere teaching style and his stories of his adventures in faith will inspire and encourage you. Paul currently resides with his wife Peggy in Colorado Springs, CO.